Picture a loaf of delicious, crisp bread taken out of the oven, its scent and aroma wafting around the room before it’s taken to the dining table and shared with the whole family. That’s us. That’s our story. 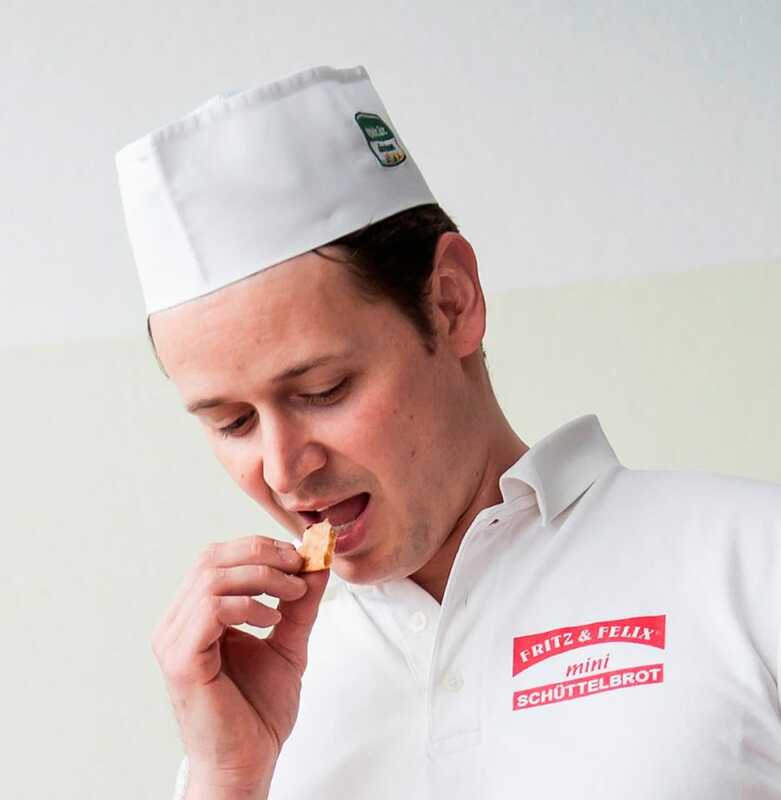 In 1960, Johann Reichhalter started working as a baker. 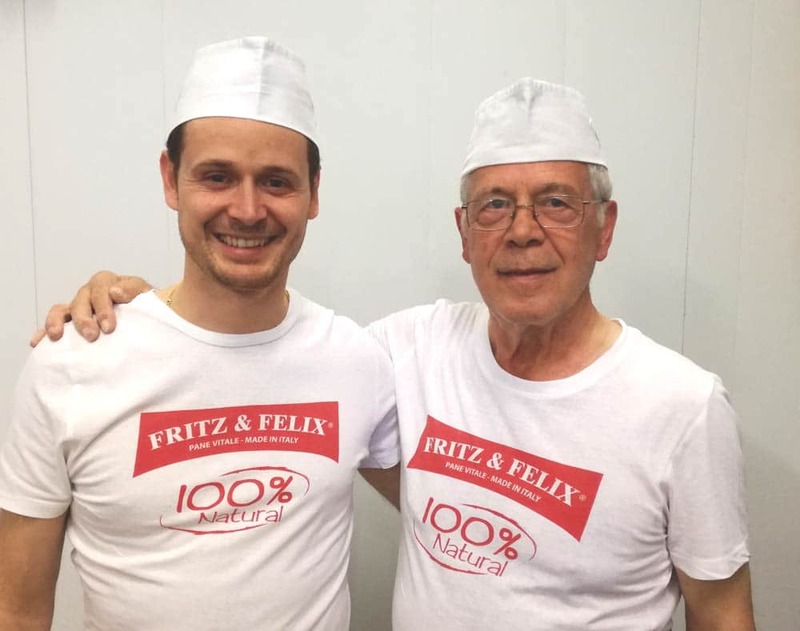 His passion and enthusiasm would result in the opening of his own bakery in 1972, located in the picturesque Rencio neighbourhood, in the northern, hilly part of Bolzano. 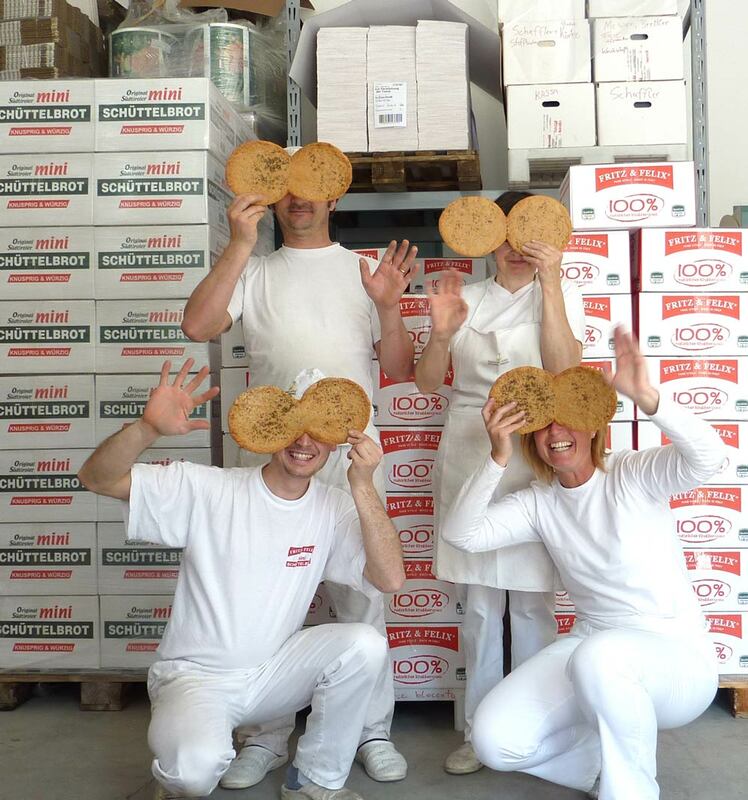 The praise for the bakery kept streaming in year after year, in recognition of the master baker’s passion for preparing handmade baked products. Years go by and in 1997 his son, Erwin, never one to be called unimaginative, took on the business to continue and give more visibility to the family traditions. 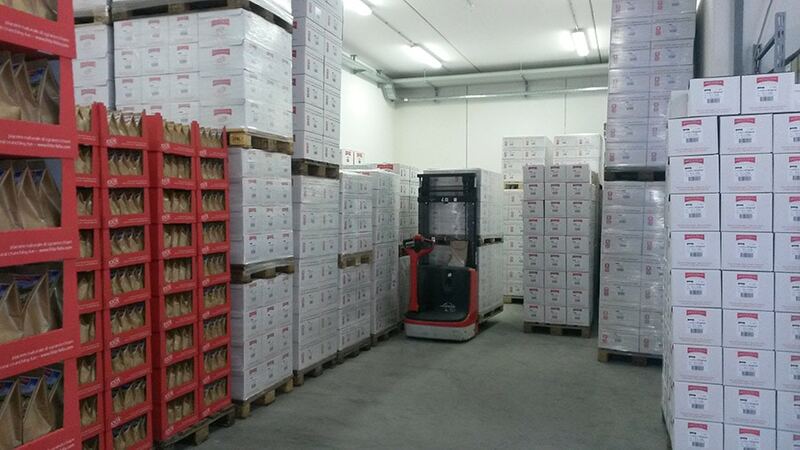 After four years, he decided to expand production by inaugurating a new company in Barbiano, not too far from Bolzano. 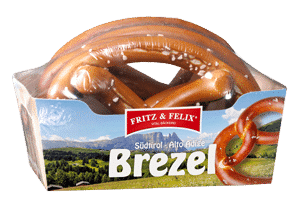 Today, Erwin has transformed the ancient bakery into a modern business, yet without giving up the passion, enthusiasm, and love needed to serve high-quality and traditional South Tyrolean goods every day. 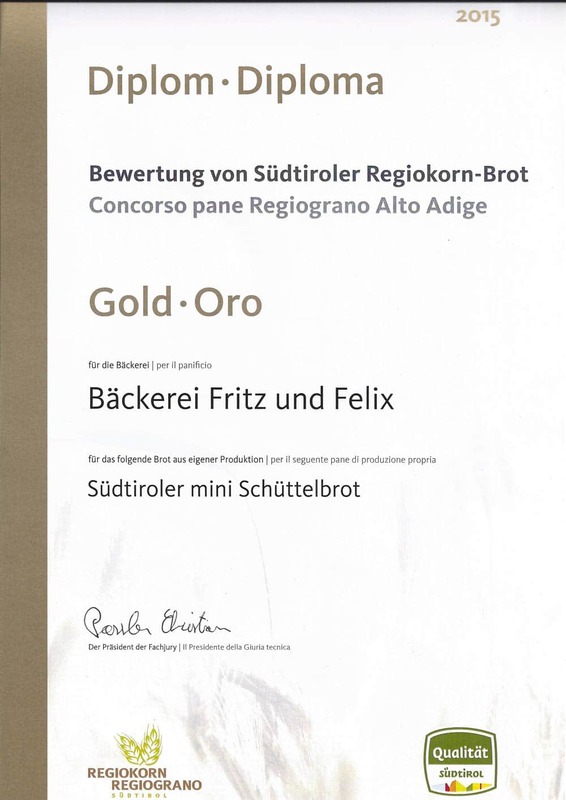 The new head office of Fritz & Felix opened in 2001 and, since then, our core services have focused on a completely automated production of mini Schüttelbrot, Schüttelbrot, and typical Italian baked goods such as grissini (breadsticks) and crostini (Italian bread appetiser). 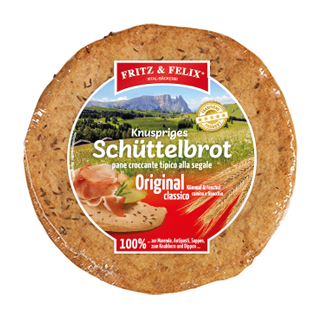 All our products can be enjoyed as a natural snack or as tasty canapés, aperitifs, and other finger food. 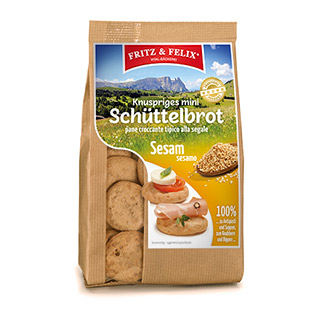 Our healthy and natural bread, pane vitale, is baked using only the best natural ingredients: preservatives are absolutely forbidden when baking at Fritz & Felix. Thanks to cutting-edge production technologies we partially developed ourselves, we can offer our pane vitale to market-standard price. However, despite all our modern times’ advances, traditions and artisanal experience still play a key role in our company. Erwin Reichhalter, the owner of the business – who’s always had an eye on market needs and trends – makes sure that’s the case.